How have you been inspired by Vet Futures? 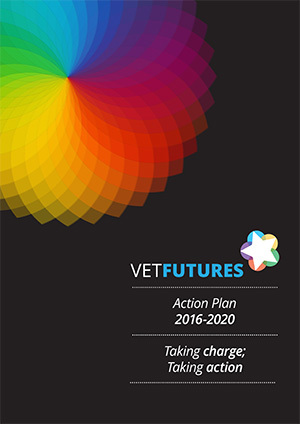 To mark two years since the launch of the Vet Futures Action Plan, we are launching a competition to find the best project or initiative that has been inspired by Vet Futures. The prize for the best entry includes a platform to showcase the idea during BVA Congress at the London Vet Show (LVS) in November, as well as two tickets to LVS (including accommodation and travel) and support from BVA and RCVS to promote the project to the wider profession. Entrants must set out their project in 500 words or fewer explaining which of the Vet Futures ambitions it aims to meet, how the idea will be or has been implemented, and how success is being, or has been, measured. Entries are invited from individuals or organisations setting out an initiative or project that has been inspired by Vet Futures to help meet one or more of the Vet Futures ambitions. Details around implementation – who, what, how, when etc? Anyone within the veterinary sector is welcome to submit an entry, although only one entry may be submitted per person or organisation. The closing date for entries is midnight on Sunday 23 September 2018. The winner will be notified the week commencing 8 October 2018. Unsuccessful entrants will not be contacted. The winner will be invited to attend BVA Congress at the London Vet Show to present their winning idea at 3.20-3.40pm on Thursday 15 November 2018. The prize comprises two tickets to the London Vet Show (15-16 November, ExCeL Centre, London), accommodation on the nights of 14 and 15 November and reasonable travel expenses within the UK, and an opportunity to present the winning idea during BVA Congress. 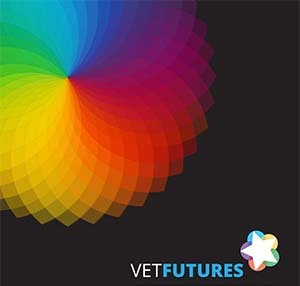 The winning project will also be granted use of the “Inspired by Vet Futures” logo for use on marketing material and websites associated with the project. In addition, the winner will receive support from BVA and RCVS to promote the project, including a news release to the veterinary press and a blog post on the Vet Futures website. By submitting an entry, all entrants agree that the Vet Futures Project (comprising BVA, the RCVS and Veterinary Schools Council) may publish details of the full or edited submissions across its combined print and digital media channels, in order to promote the competition, the Vet Futures initiative and the entries themselves. The winning entrant, and any runners up as required, agree to take part in publicity surrounding the competition, including photographs at London Vet Show 2018. We are offering the chance to win an all-expenses-paid trip to the London Vet Show (Olympia, 19-20 November) to the lucky winner of our ‘Veterinary Vision’ essay competition. The winning entry will also be included in a time capsule, to be opened by the veterinary profession in 2030. Entrants – who could be vets, VNs, practice managers, students, in fact anyone with a veterinary interest – are being asked to pen an essay in no more than 1,000 words which outlines ‘An idea that will transform the veterinary/veterinary nursing profession by 2030’. The topic might look at a new business model, a new approach to education, a technological innovation or perhaps a way that the working lives of those in the practice team could be improved – the approach is totally up to the author. The entries will be judged by the Vet Futures Project Board – see rules below. The closing date for entries is midnight on Wednesday 30 September 2015, and the winner will be notified the week commencing 5 October 2015. Anyone is welcome to submit an entry, although only one entry may be submitted per person. The winner will be notified the week commencing 5 October 2015. Unsuccessful entrants will not be contacted. The prize comprises entry to both days of the London Vet Show (19-20 November, Olympia), accommodation on the nights of 18 and 19 November, and reasonable travel expenses within the UK. The winner retains the copyright to their entry, but grants the Vet Futures Project (comprising BVA and RCVS) a perpetual royalty-free licence to publish, broadcast and post the entry online and on any other platform. By submitting the entry, the entrant agrees that the BVA and the RCVS may, at their sole discretion, edit, adapt, abridge or translate the entry for the purposes listed above. The winner also agrees to take part in publicity surrounding the competition, including photographs at the London Vet Show. 19.08.15 Note the deadline for competition entries has been extended from the original deadline of 31 August 2015.